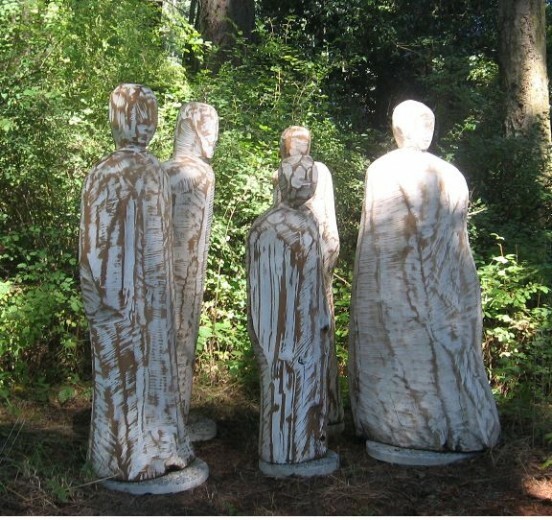 Sculpting the shadows of ancestors. By Appointment. 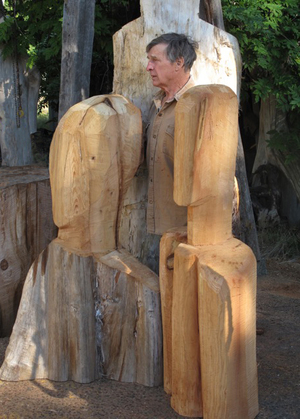 Michael Dennis has lived on Denman Island for 30 years, carving monumental figures in salvaged cedar. 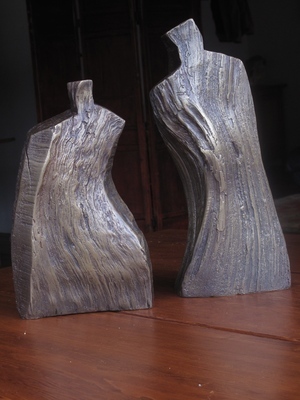 Abstract and semi-representational, they have power, presence and personality and demonstrate Dennis’ intimate mastery of the human form. 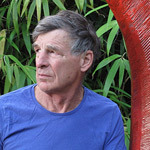 Originally from California, a professor and neurophysiological research scientist at University of California, Berkeley, Michael made a dramatic shift in the 80s, from the academy of science to the practice of art, to making of “representations of self” and ancestral metaphors. His work is in prominent collections here and abroad. 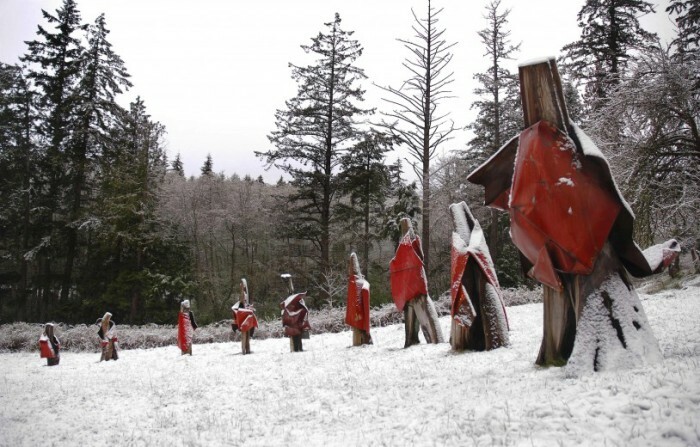 His carved figures are familiar in Vancouver with public installations at SFU, UBC and ‘Dude Chilling park. 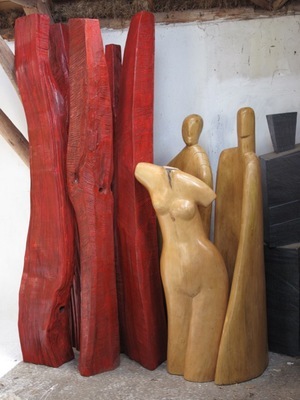 Michael aims at capturing the essence of human gesture from a tree using only the minimum definition required. 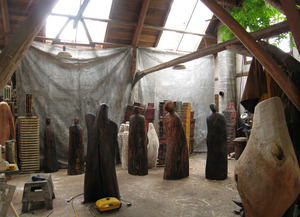 The results are pieces in which the viewer may see both human form and tree form. If we could look far back in time, we can imagine our ancestors. They were much like us, although without the niceties which now overwhelm us. They laughed and cried, sang and danced, told stories, fought and loved. They lived and died, surrounded by animals. As they warmed themselves by their fires, the shadows of their lives were cast on the walls. I try now to sculpt those shadows. 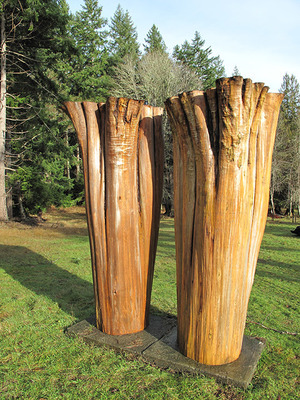 Michael work is displayed in the Stofer Gallery on East Road, Denman Island and the Duthie Gallery on Salt Spring Island.